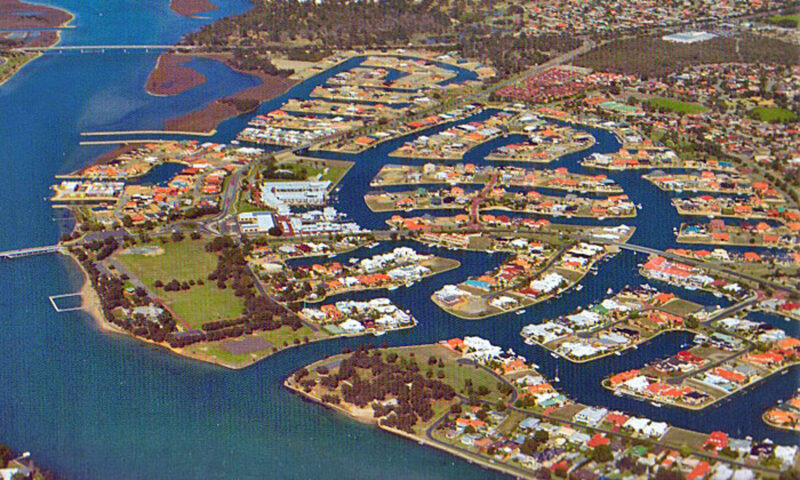 Port Mandurah Residents’ Association Inc. works for property owners in the precinct of Port Mandurah, Western Australia, including those who pay an additional “Specified Area Rate” (SAR) to maintain the canal precinct. Established in 1994, PMRA now represents ALL property owners in and around Port Mandurah in matters pertaining to the management of the canals and maintenance of the canal precinct, and has quarterly meetings with councillors and managers at the City of Mandurah to address issues in respect of canal properties. Endeavour to ensure that the amenities of the precinct of Port Mandurah are maintained and where possible improved, and the quality of the development and lifestyle of its residents is preserved. Support and encourage the maintenance of standards throughout the precinct of Port Mandurah including those outlined in covenants of the land sale documents. Liaise and foster good working relations with Government, Local Authorities, Statutory Authorities and other relevant bodies; to foster good working relations with the media to inform the public. Publish information sheets and newsletters for the benefit of members. Our website is a ‘work in progress’ and is regularly updated supplying interesting, useful and regular information on matters pertaining to lifestyle and activities in Mandurah. Sponsorship Opportunities are offered to businesses which may benefit from exposure on the website, in PMRA’s newsletters and at our events. To view the standards, conditions and commitments agreed during the formation of the Port Mandurah precinct, please click here for Stage One and here for Stage Two. PMRA encourages harmony on the canals, adherence to the covenants and the responsible letting of holiday homes. PMRA advises that it has no powers of enforcement.